Watch 101: What is a "California" Dial? What is a “California” Dial? What is up, watchfam?! Today, we’re going to take a look at one of the more interesting dial configurations you’re likely to come across – the so-called “California” dial. Before we get into some of the history of how this dial variant came to be, and how it has managed to spread through different brands over the years, it’s important to establish what exactly makes this kind of dial different. In effect, the California dial is defined by one singular design feature – the presence of the top portion of the dial featuring the markers for the hours of 10 to 2 in Roman numerals, and 4 through 8 in Arabic numerals. In addition, the markers for 3, 6, 9, and 12 are often some kind of stick or arrow, but this will vary depending on the brand. 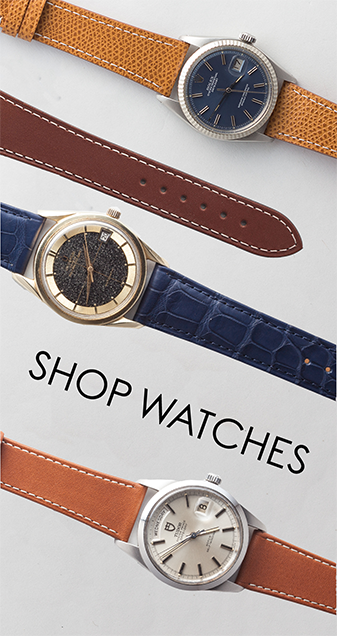 There are two brands that are most frequently associated with the California dial – Rolex and Panerai. This duo may seem a bit off the wall to us today, but it makes sense in the historical context of the late 1930s and the early 1940s, when Rolex actually produced cases and movements for Panerai when Panerai were the go-to watch for the Italian Navy and had yet to even consider civilian production. 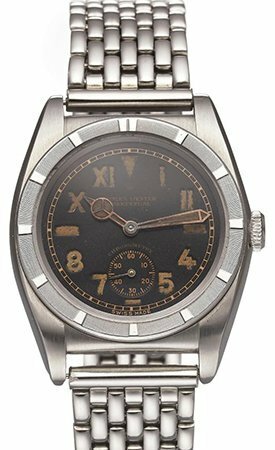 In so doing, the Panerai Radiomir was, in effect, Rolex’s first “dive” watch, since it predates the Submariner by about a decade. (While it wasn’t called the Radiomir at first – rather known instead as the Reference 3646 – looking at the cushion case and wire lugs, the heritage is pretty clear). The more you know. 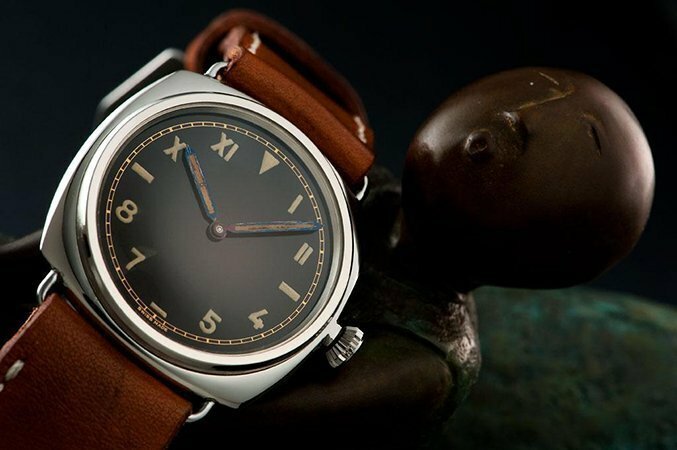 The Panerai 3646 would eventually end up with a California dial all its own, but prior to Rolex’s involvement in Panerai, the brand was already producing California dials on their so-called “Bubblebacks” (given this moniker because of the majorly convex nature of the caseback, which Rolex used to try to conceal the automatic winding rotor, knowing that the caseback’s protrusions would cause it to nestle into the wrist more, thus making the watch appear thinner on the wrist). The earliest examples of this dial can be traced back to 1934, with the Bubbleback reference 3595. 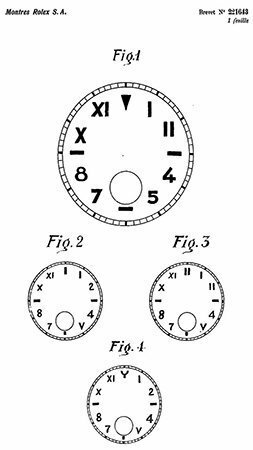 It wasn’t until 1942, though, that Rolex actually patented this dial design, and upon doing so, never actually called it a “California” dial. So where did the name come from then? So here’s the thing about the name – nobody actually knows for sure where it came from. There are three predominant theories about where the name originated from, but none of them hold any more or less weight among horological scholars than the others. As such, we’ll quickly touch on all three of them. This one seems, to be fair, like the most straightforward. The basic idea is this – for whatever reason, Rolex noticed that they were selling the majority of the watches with these dials in California, which has been verified. 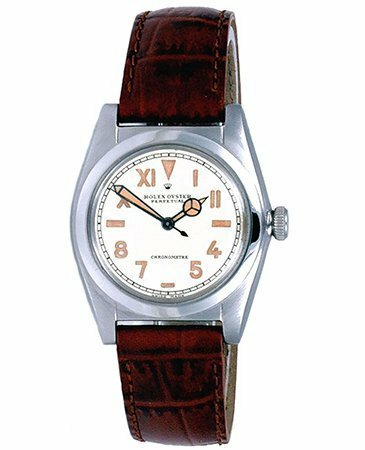 As a result, distributors began to nickname any watches with the specific dial the “California,” to note this popularity, and the name just stuck. This is absolutely the kind of thing I could see happening, especially knowing our penchant today for nicknaming timepieces of a funky design or rarity for very plain, straightforward reasons (looking at you, Paul Newman Daytona). The Pepsi GMT is another example of this, since it is never actually referred to as such in Rolex nomenclature, but every collector on Earth knows that the blue and red bezel is the Pepsi. Perhaps the California dial’s origins are equally as simple. This theory is the big one for one, very simplistic reason – the dial refinisher in question, Melrose-based Kirk Rich, actually lays claim to being the originator of this nickname. In response to an email from Timepiece Chronicle, one of the members of the Kirk Rich family answered by stating that, indeed, during the 1970s, the company had become known for specializing in the refinishing of these dials, so much so that dealers and sellers from all over the US would send their watches to Kirk Rich. In their correspondence, the dealers/sellers would never be able to consistently or concisely explain what the dial design was, and so Kirk Rich, being located in Los Angeles, eventually saw their customers simply refer to it as the “California” dial and, as a result, the name just stuck. While that seems like the case should, in theory, be closed on the origin of the name “California” dial, chances are that won’t be the last thing heard about its origins. While I tend to buy the Kirk Rich theory myself, it’s primarily because the company has been more or less silent about their role in its origin unless asked. That kind of humble acknowledgment just sits right with me in a way that’s hard to explain, but it just goes to show that Kirk Rich is very good about knowing how to keep it classy, watchfam.